OUR STORY – Restaurant Chairs by M. Deitz and Sons, Inc.
M. Deitz and Sons, Inc. is a family-owned and operated contract furniture importer, manufacturer and distributor. We have been supplying the food-service, hospitality, healthcare and institutional markets with high-quality, durable, and custom-made chairs and stools since 1921. As the 3rd generation of owners, we take pride in the quality of our affordable, restaurant furniture and chairs, our prompt service, and our dedication to satisfying each and every customer. As longtime experts in seating, we have built our business around working directly with you to help you visualize your design, resulting in truly one-of-a-kind, custom-crafted, restaurant seating. 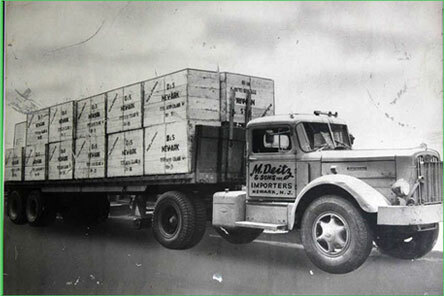 These old-world values have been the cornerstone of our company’s success since its inception. Our customer can order M. Deitz and Son’s hospitality furniture with the confidence of knowing they will get the same high quality, long-lasting furniture, time and time again. The hand-crafted furniture and chairs we sell are all custom-built to strict structural requirements, and all our chairs and stools are all fabricated on-site. Our seat and back rest padding, upholstery wrapping, and decorative nail trim is completed with the highest attention to detail. We believe the detail is in the finishing. Every stitch, tuft and button we place on your chair or stool will reflect the quality that is synonymous with our reputation. We have the utmost confidence that our products will meet both the scrutiny of a single location restaurateur, or the purchasing manager of a national chain. Our hospitality products can be found in restaurants, national chains, hotels, bars, lounges, clubs, healthcare and government facilities, corporate and educational cafeterias, college dorms, office buildings, and anywhere that attractive, competitively priced, durable commercial seating is required. Our heavy-duty hospitality furniture and chairs can withstand the test of time and use, and we are proud to say that we have merchandise in service in all 50 states, Canada, Mexico, South America and throughout Europe. Feel free to contact our sales department with any questions you may have about placing an order or discussing a quote on our custom-made woodwork. Our team has the expertise to tackle today’s pressing problems. Short lead times, routing assistance, and fire and health code compliance are requests dealt with daily – and we guarantee on-time delivery. The products shown on our site are only a sampling of the furniture that we can provide. If you have a request for a specific or custom-made item and do not see it on our web site, feel free to contact us. We can also modify any of the furniture, chairs, and other items from our existing product line to suit a customer’s needs. All chairs and furniture can be purchased through food service dealers, architects, designers, store fixture outlets, web vendors, etc. For the name of our local sales representative, distributor, or for the address of a web retailer, please feel free to contact us.